There’s an old Mitch Hedberg joke about swimming pools. He says that he saw a 30-second commercial for an above-ground pool once, which made perfect sense to him, because 30 seconds is the maximum amount of time you can depict someone having fun in an above-ground pool! 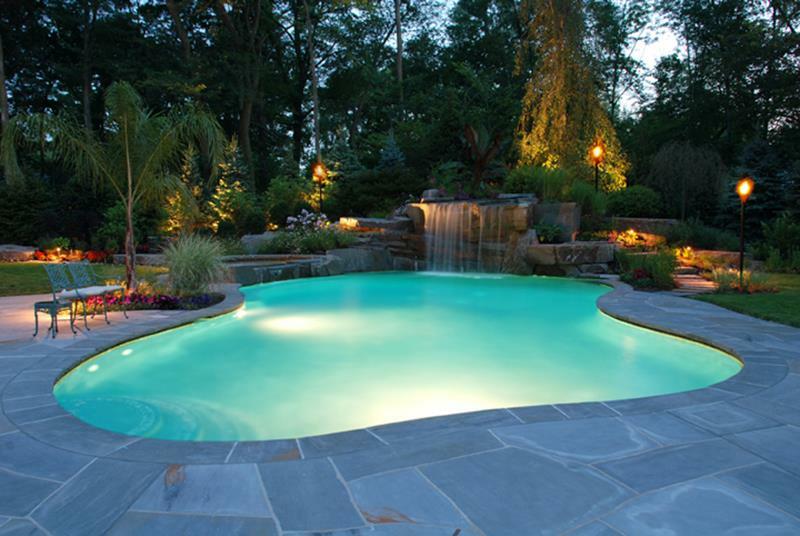 All kidding aside, if you want to have an awesome pool for your home, you need to go with the in-ground option. But your pool-related decisions don’t end there, because not all in-ground pools are created equally. Given that the in-ground pool will become a permanent fixture of your home’s overall design, you want to make sure that your in-ground pool is as visually interesting as possible. 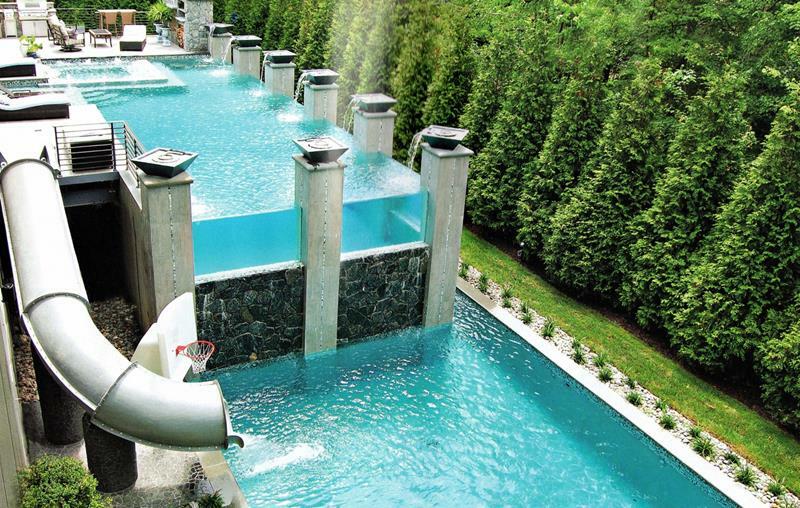 In order to help you make sure that your pool is as fun to look at as it is to swim in, we thought we’d share what we think are some of the most visually interesting pools we’ve ever seen. As you’ll see, they’re visually interesting for a number of reasons. In some cases, it’s about what lines the pool. In other cases, it has to do with the shape of the pool itself. 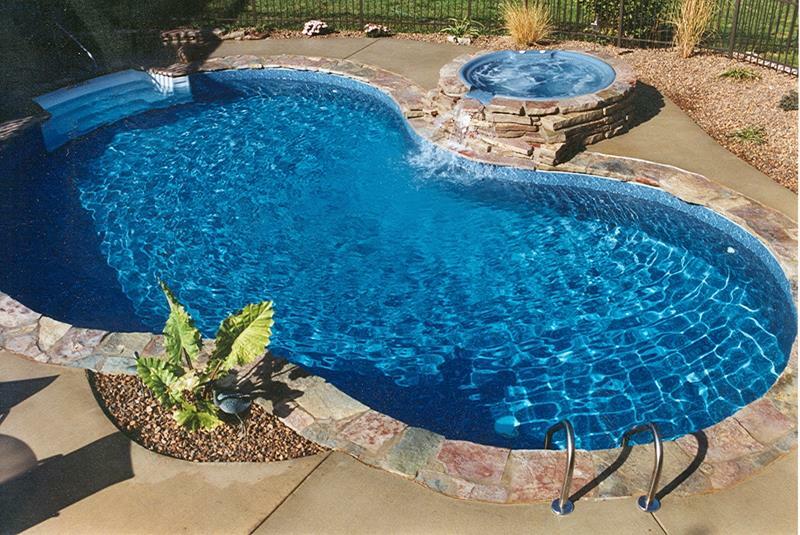 So, if you’re giving your home’s pool an update, come take a look. We think you’re going to like what you see! Making use of an hour-glass shape, this in-ground pool design provides a great space for kids and a great space for adults. The stone bottom of this in-ground pool creates an interesting visual effect, while the waterfall from the hot tub spices things up. 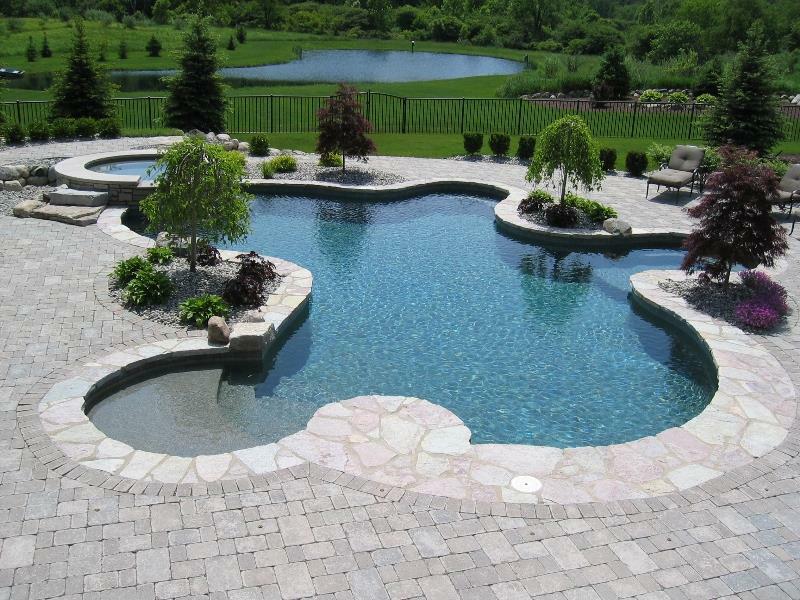 When you’re going with the in-ground pool, your imagination is the only limit when it comes to designing the shape. Most infinity pools that you’ll see have a flat edge. The design of this infinity pool, on the other hand, has a unique and geometrically interesting shape. 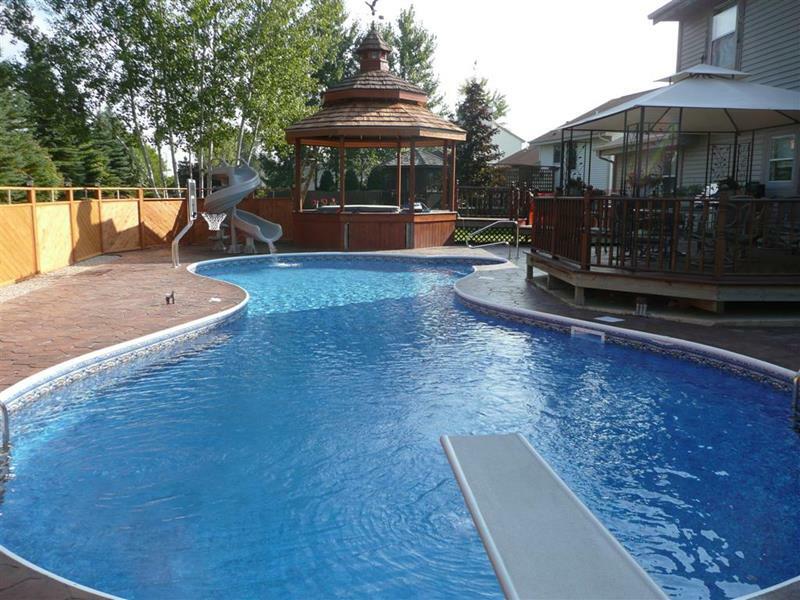 Maybe above ground pools aren’t all that bad, after all! In either case, how about that slide the dumps you out into the in-ground pool?